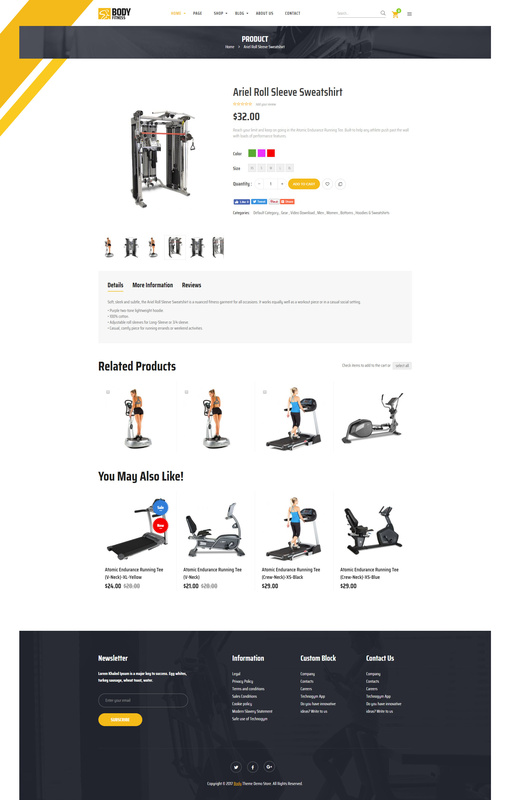 Body Fitness – Responsive Magento 2 theme has creative, inspiring, Stylist design which brings visitors a powerful, dynamic and strong feeling at the first sight. 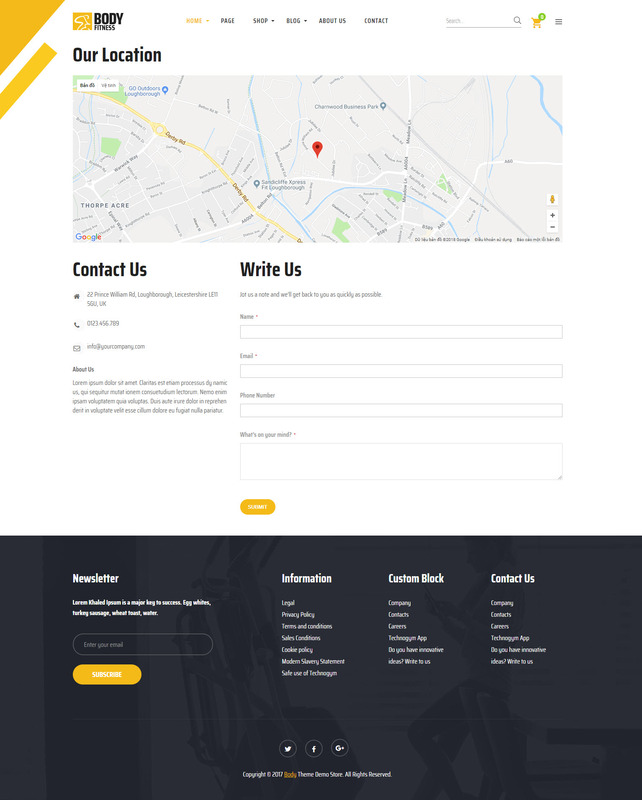 Body Fitness is a responsive Magento 2 Theme which is perfect for Fitness Shop, Sport store, GYM clothing & Shoes,Body Building Supplement, Yoga Clothing, Electronic Store, Sport Gear or any other kinds of Fashion Store. Moreover, Body Fitness is fully-customizable, well-organized and equipped with a bunch of Bootstrap features that you need for building a well-performing online store: fully responsive design, Product list by rules, Ves Theme Setting, Ves Mega Menu, Ves Brand, Ajax Add to cart, Quick view Product, Blog, Color Swatches, Google font, Multilingual & RTL Ready, Mobile Friendly Ready. Especially, this Magento Page Builder offer over 50 magento widgets, typos and short code that support you to build any content at ease. 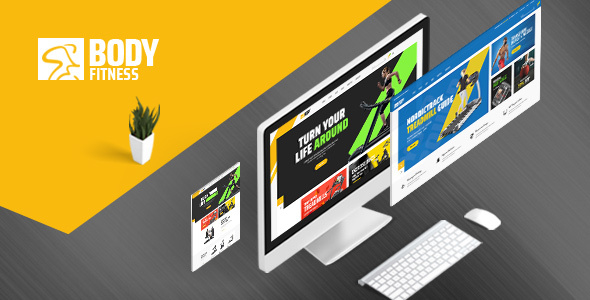 With the support of Page Builder, you can easily create your own layouts based pre-made ones. 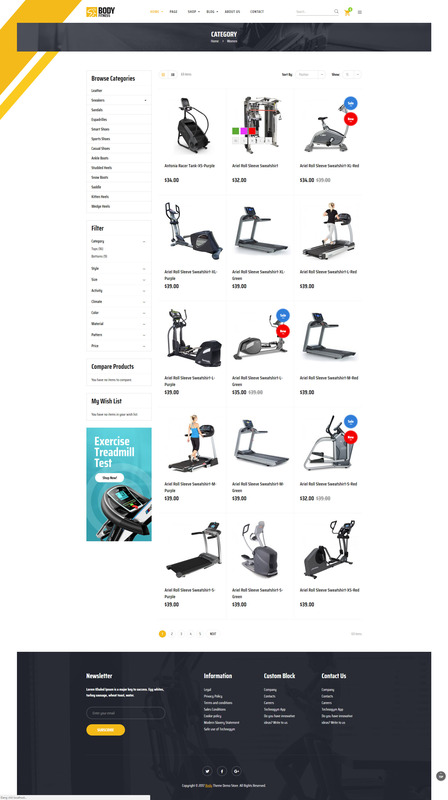 With all the things that Ves Body Fitness has, you can completly take this theme as your choice to open an online Sport Store. Coming with us, we ensure that you will totally satisfy!